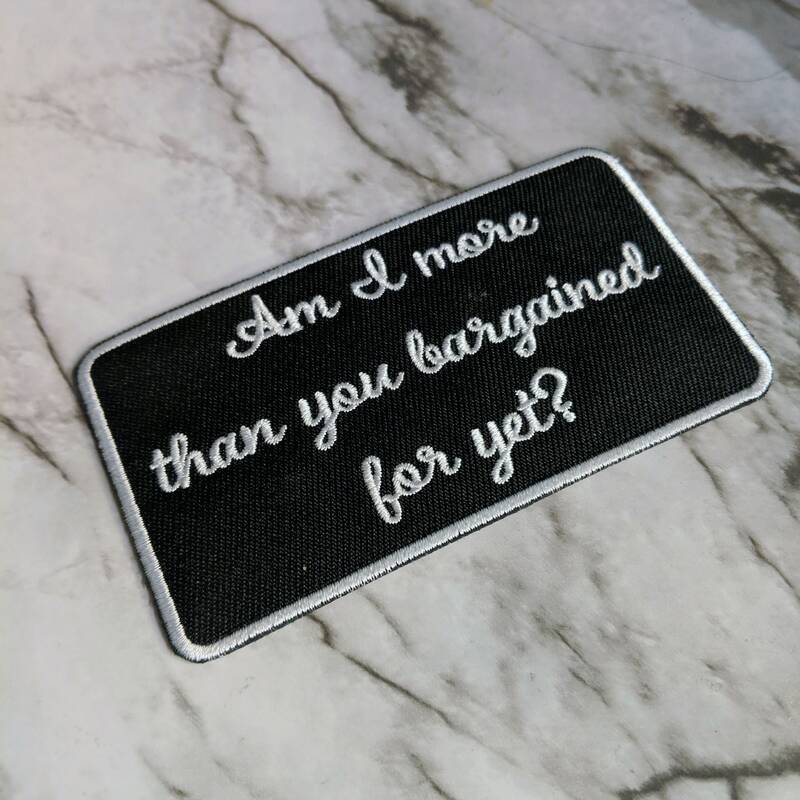 Inspired by one of my favorite Fall Out Boy songs, this patch features the lyrics, "Am I more than you bargained for yet?" Has an iron on backing for easy heat application. Measures 4" wide and a little over 2" tall. Font is more legible than pics appear. Came with an adorable free gift. Really nice patch.